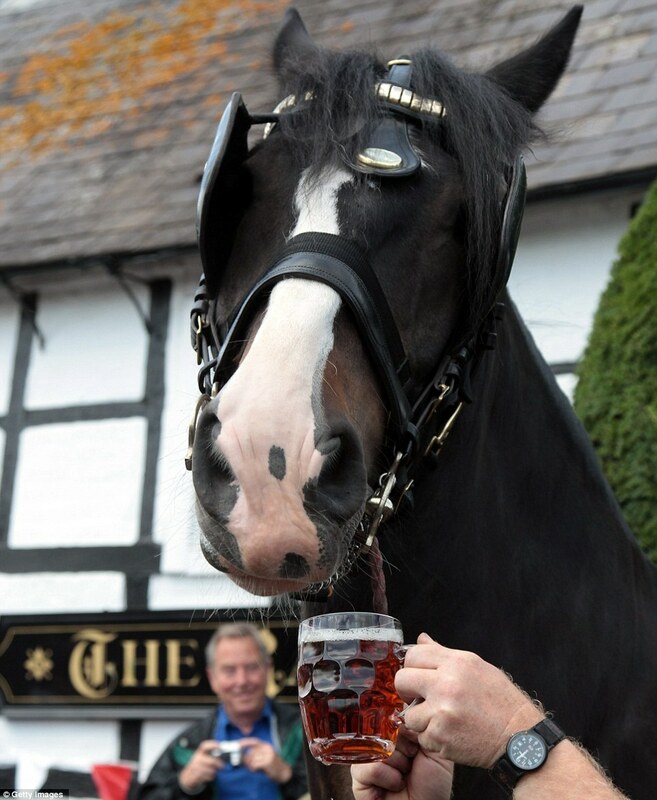 Most of us enjoy a pint down the pub to mark the start of our summer holiday and these dray horses are no different. 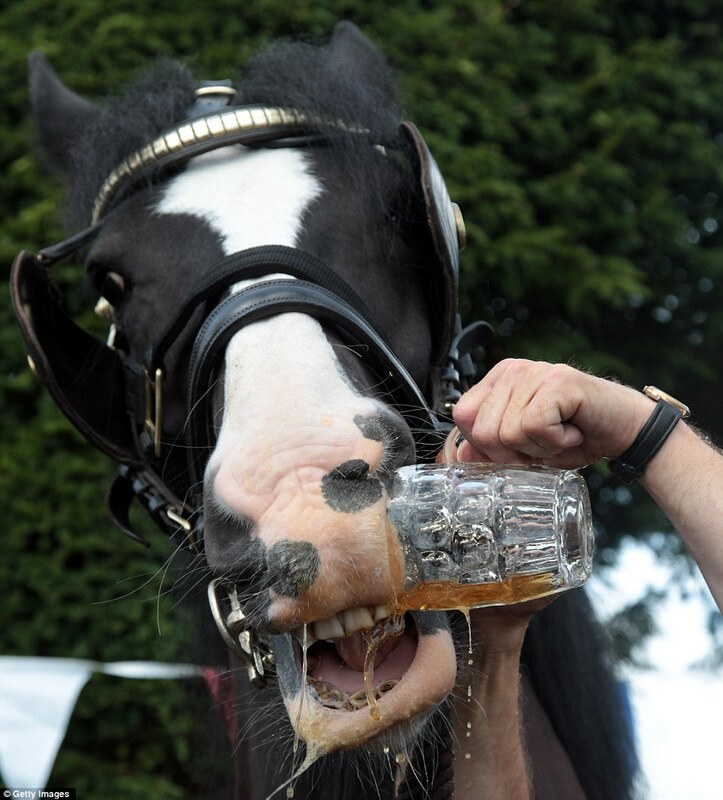 No, they're not drinking castle-mane (sorry), it's a refreshing glass of Wadworth ale, the drink a brewery has given to its horses for more than a century at the beginning of their two week summer break. Monty, Max and Prince were given the beer outside the Raven Inn in Poulton, near Devizes in Wilshire, by the staff who they help with deliveries around the area 50 weeks a year. 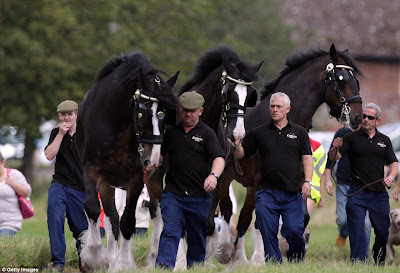 The boys enjoyed their ale at noon today, sharp, before being led down the main road into a field where they showed their delight at being set free. 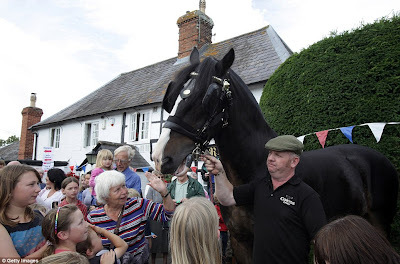 Wadworth has been employing shire horses for more than than a century to bring beer to the county's pubs and this trio of beautiful horses are the last remaining working shires left in the UK brewing industry. 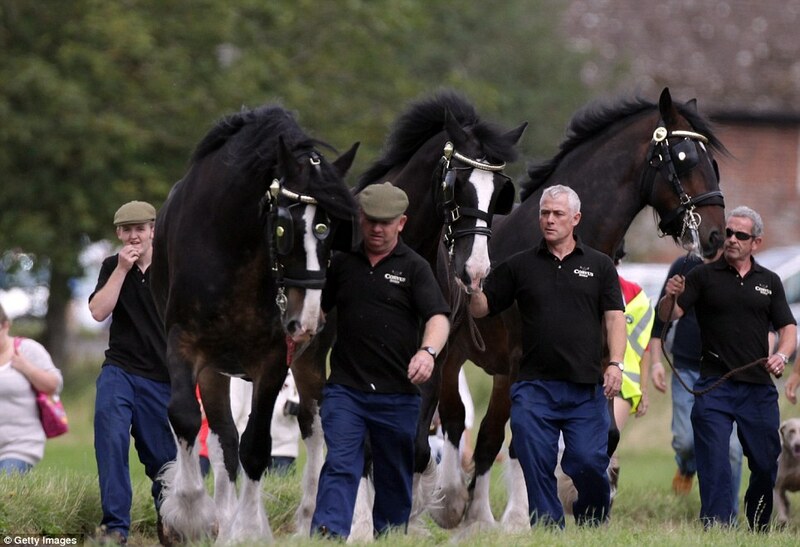 More than 1,000 people turned up to watch the tradition and then watched them run free in a nearby field to start enjoying their summer break. These wonderful photos show how the three kicked up their hooves and romped around. 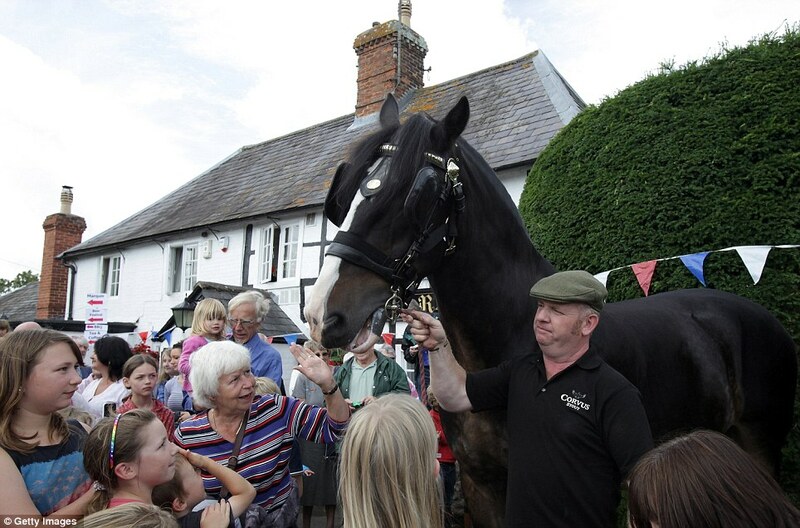 Major John Bartholomew was chairman of Wadworth was responsible for bringing back the tradition of dray horses to deliver around Devizes. 'This is a lovely day and I am so pleased to see so many people here,' he said.